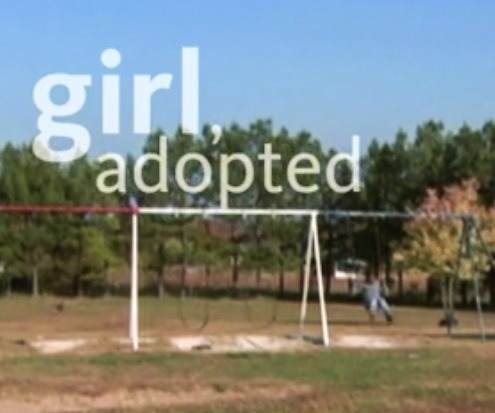 Update: On January 21, Girl, Adopted will be available on PBS World Channel at 6pm est time. Click here for information. Girl, Adopted is a new documentary about Weynsht, adopted from Ethiopia to Arkansas, USA. You can learn more about it on the Facebook page here, and on the website (where you can download it) here. It is powerful, accurate, and potentially very triggering for adoptees. Love, loss, confusion, resiliency, hope, struggle, ambivalence, and grief are all rolled together. Weynsht was adopted from Leyla House, AAI of Washington state’s orphanage (coincidentally the same agency as Hana Alemu Williams), and adopted to rural Arkansas when she was about 13, in 2006. The film shows her in Leyla House, lively, dancing with friends to American music, happy yet hoping to be adopted. Her adoptive mother talks about having seen news when she was 10 years old about famine in Ethiopia and wanting to help, having “a dream of a little foreign baby.” The adoptive dad talks about being motivated by religious faith to adopt. They see a video of Weynsht at the orphanage, feel a connection to her, and travel to meet her there, spending some time at Leyla House and in Addis. The sound of children crying when Weynsht leaves is powerful. Weynsht’s life in Arkansas shows her struggles being (what looks like) the only person of color in her school and community, of being habesha on the inside but American on the outside. There are fights, disappointments, confusion, and misunderstandings all around. At one point, she says she hates her hair, and goes through a lot of changes with hair and makeup. She begins to love her adoptive family, but struggles with being different, saying something like, My mom says it’s no big deal, but to me it is a big deal. It makes me sad. She talks a lot about returning to Ethiopia, and after a few years in the US, she does so, with her adoptive dad and a couple of her adoptive sisters. This journey too is hard: she has lost most of her ability to speak Amharic, and Ethiopians are puzzled about how she could forget. The many children begging along the streets: how to help them? The children at Leyla House ask if she’s more American or Ethiopian now. They ask about her hair, her jewelry. She has no easy answers for who she is. She visits with the woman who cared for her before the orphanage, trying to understand the truth of her past. Her adoptive family had been told that Weynsht had no family, but she had memories of an older brother, and indeed she learns more about him, a young man named Mesfin. They meet, and it’s confusing and uncomfortable and good at the same time. She learns about her birth father. 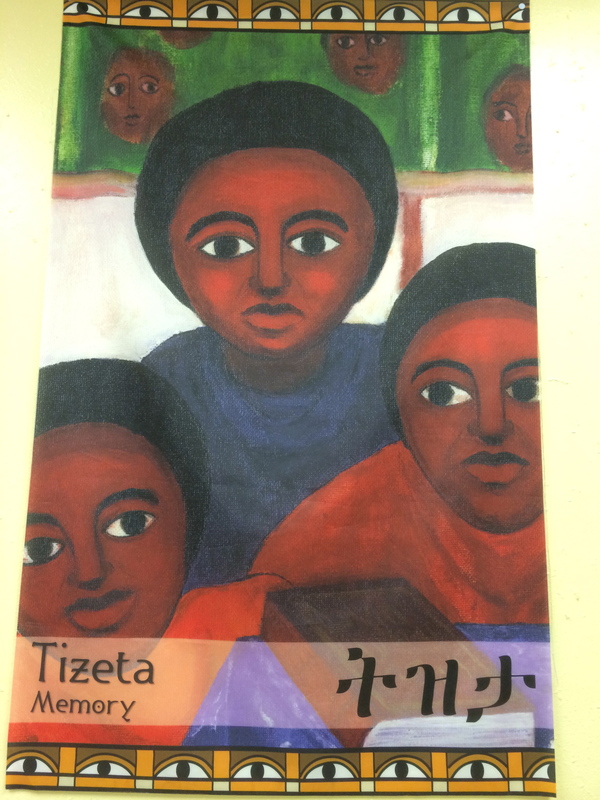 Her Ethiopian caregiver tells her, in Amharic, “So now everything has worked out perfectly for you, right?” Weynsht’s face and words give way to her inner conflict and ambivalent losses. When she is about to leave, she says she doesn’t want to, and an Ethiopian family friend takes her aside, saying that if she could send her children away like Weynsht, she would. You’re luckier than anyone, she tells the teen. If I had the chance, I’d just say Go! Back in the US, Weynsht begins to deal with all the emotions again: I thought everything would be nice. But it was hard. Everything happened so quick. I don’t know my brother. I hope the best for him. I feel guilty my (adoptive) family sends money to Mesfin. I feel guilty they paid a lot of money to get me here. How can my heart be broken? I have lots of people who love me, my mom and dad, my brother. My heart’s still not perfect. I don’t think I can find the pieces to put it together. God, Mom and Dad, my brother, they can’t do that. It can’t ever happen. The film closes with a speech contest in which Weynsht talks about being adopted, how hard it can be, how children in Ethiopia pray to be adopted thinking that America will be heaven but it’s not. She doesn’t want anyone feeling sorry for her, and she loves her American family. Her high school graduation shows beaming, tearful parents and proud siblings. Weynsht is now finishing cosmetology school, the film says, and plans to remain in Arkansas near her family there. That is indeed one of many questions, and the answers can take a lifetime. This entry was posted in Adopted, adoptees, Ethiopia, Ethiopian adoptees, International adoption and tagged birth/first parents, international adoption, love and loss, transracial adoptees by Light Of Day Stories. Bookmark the permalink. Thanks for the review; I wasn’t quite able to hammer one out. This film is wrenching. Or, more accurately, it was full of challenging material for me. The families (in Ethiopia and Arkansas) were all brave to participate. Chris – I don’t believe the filmakers made the case that it was indeed for the best interest of the child. Her Ethiopian family friends thought so, but that’s just their opinion; they couldn’t possibly know, only Weynsht is left to figure that one out. Anyway, too bad for the “foreign baby” comment; yikes. Otherwise the family seemed to do pretty well accepting her and allowing their daughter/sister to express herself. How can this be for the best interest of the child? I just don’t get it. Good documentary though, but it’s still selling children for profits. Thanks, Maureen. Your thumbs-up means a lot! I love your even-handed, insightful writing about the very real issues around international adoption. Soon the film will be available on DVD and for download at: http://www.girladopted.com. Susan, thank you so much for your gracious words about my blog. Best wishes for great success with “Girl, Adopted.” Lots of people are watching it and talking about it: I look forward to the ongoing conversations, and am grateful for your sharing Weynsht’s story with integrity, in such a powerful, valuable way. Susan Motamed previously produced Enron: The Smartest Guys in the Room, which opened in competition at the Sundance film festival, and was nominated for the Academy Award for best documentary. It also won the Independent Spirit Award, IDA Award, and Canal+ Award. Before Enron, Susan co-produced Lightning in a Bottle, a blues tribute documentary with director Antoine Fuqua, producer Alex Gibney, and executive producer Martin Scorsese. Motamed served as the series producer for the Blues series for PBS, which featured films by directors including Martin Scorsese, Mike Figgis, and Wim Wenders. She also co-produced Alex Gibney and Eugene Jarecki’s The Trials of Henry Kissinger. In addition to numerous documentaries, Susan’s credits include children’s programming, commercials, and music videos, most notably “Scream,” the Michael and Janet Jackson music video. It looks like it’s geo-blocked from Canada and I can’t wait to see it. Must figure out a way. In the meantime, thanks so much for the summary, Maureen.